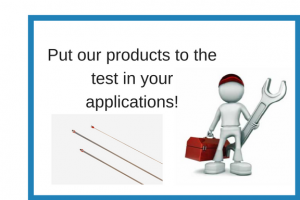 Test our DG Series of NTC thermistors – No Obligation! Ametherm’s NTC Thermistor Glass Encapsulated series give designers better options with faster, more accurate, and less expensive alternatives to RTD probes or thermocouples. High precision resistance and ß value with an operating temperature range of -40~ +250 °C. Their compact size allows for encapsulation in a variety of custom housings, such as ring lug and hex nuts. Industrial applications may include monitoring battery pack terminal temperature while in a charge state. Medical applications that rely on airflow such as respirators. Since 1994, Working to improve engineering efficiency. 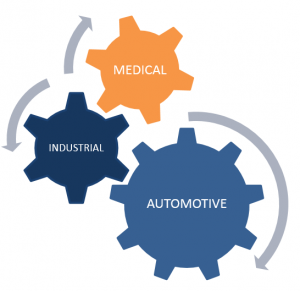 As an industry leader; AMETHERM has always focused on innovative and cost-efficient thermistor sensing solutions from the engineers perspective. Quality and performance without compromise. That’s the way it should be, and that is what you get when you choose products manufactured in the USA by AMETHERM. Over 90% of our current customers began by testing our products before they made a purchase. High success rates with extreme accuracy, reliability, and long-term stability. How can you argue with that? Ametherm’s NTC Thermistor Glass Encapsulated Series Free Sample Offer is the best way to evaluate our products. 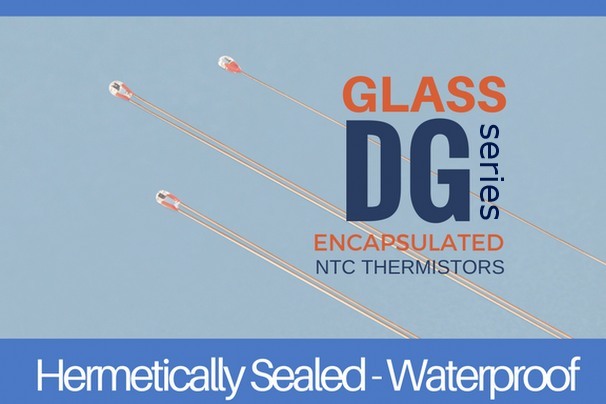 Hermetically sealed, our DG Glass Encapsulated Thermistors eliminate errors in resistance readings due to moisture penetration, while offering high operating temperatures and a compact size.